PRICED TO SELL and ready for offers! This meticulously maintained CONCRETE construction 3 bed/2 bath home is located in prestigious Duck Key with ~78Ft. of canal frontage. Backyard oasis with concrete seawall and PLENTY OF ROOM to add a pool! There is also ample car/trailer parking and storage space. This home has SO MUCH POTENTIAL for the price and is ready for the next owner to let their creativity run wild! Flow through canal system allows for gorgeous clear blue water and OCEAN views can be seen from the rooftop deck! 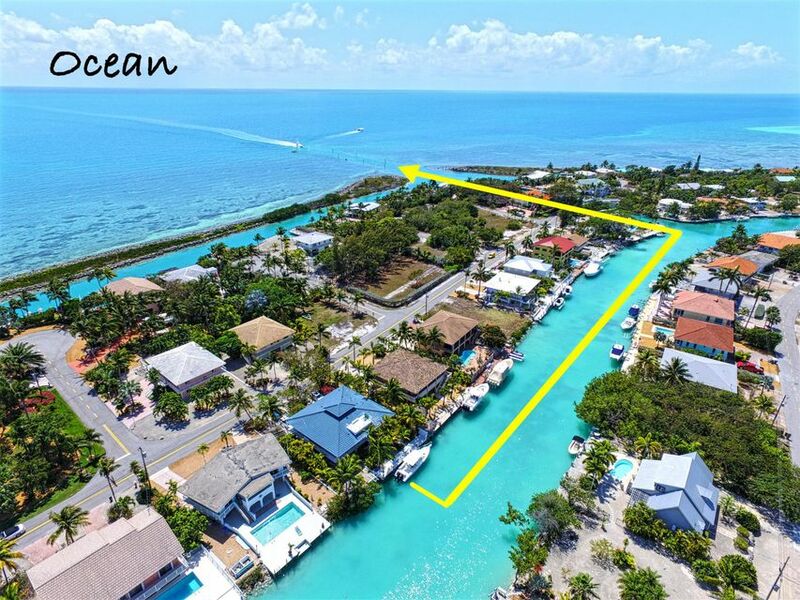 Quick and easy boating access with close proximity to Hawks cay resort and Duck Key Club with Tennis courts and a pool! The owner is an architect and designed/supervised construction~next owner will have peace of mind~this home is a fortress and BUILT TO LAST.